'Previous incidents' at Pistorius home Jump to media player Police in South Africa say a 26-year-old male would appear in court later on Thursday. 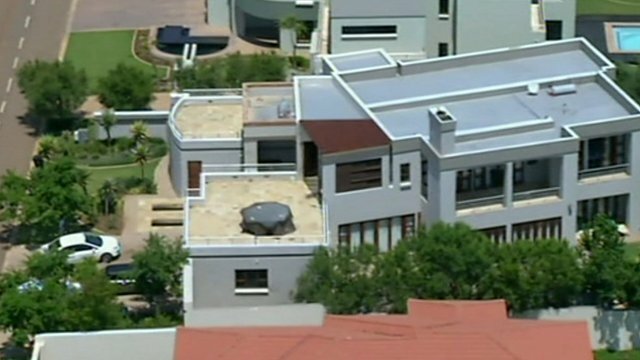 Aerials show gated Pistorius home Jump to media player South African Paralympic athlete Oscar Pistorius is facing a murder charge after his girlfriend Reeva Steenkamp was shot dead at his home in Pretoria. South African Paralympic athlete Oscar Pistorius has been arrested over the fatal shooting of his girlfriend Reeva Steenkamp at his home, local media say. 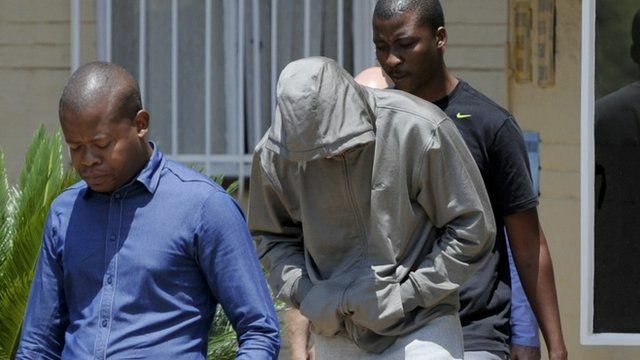 Police said they have charged a 26-year-old man with murder, but did not confirm it was Mr Pistorius. Officers added that there had been previous incidents at the address and described them as "allegations of a domestic nature".